In our Foodpanda Clone Script the site is user-friendly and where the users can easily manage the account details in the single dashboard, we provide separate authorized individual log-in id for the users to make the account secure and nowadays the peoples are spending more time on the internet, and they start to purchase or order their requirements from their location, so it is necessary to use our newFoodpanda Clone Scriptfor making over their business service to the world through online ordering software. Online Restaurant Order Script is designed with structured network sitemap and with product classification, the user can search their favorite recipes from their favorite restaurant by just giving the location or name of the restaurant and the user can search the required products from our products classification then the users can also get the coupon code for the benefits and also we included chat option for the users to interact with their favorite ordering place, the order management are managed by the admin and it is filtered by the respective city, restaurant and by date, then the details like pending orders, upcoming orders, delivered orders, cancelled orders and order in progress. As an admin of Multi Restaurant Food Ordering Script, you can manage the normal users, business owners and city administrator and also find the search statistics using search box with day, week, month and year, the user can earn profit by using Google banner ads, here we also bring a multi-language support efficient feature and the user can have the option to log-in with the user mail or with the social network login id. 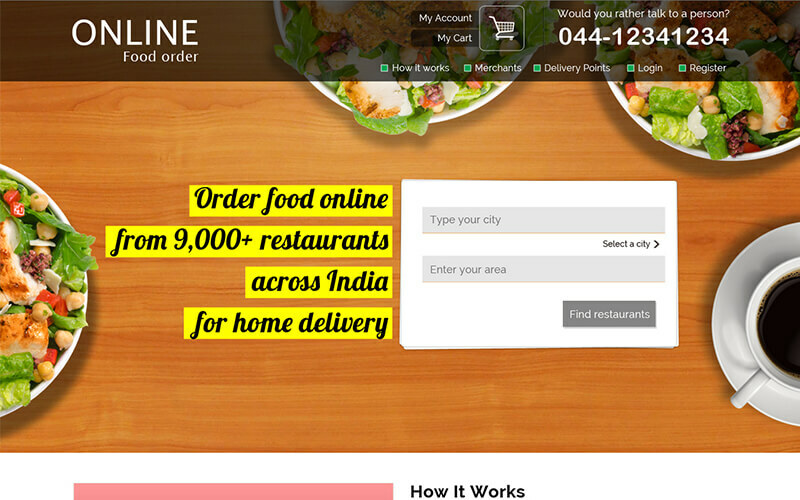 We provide this food ordering script with easy access to the user to make the profitable food ordering business and we also included food ordered notifications will be send to the respective user through via e-mail or through SMS and then the user can give feedback review or rating for the food service delivery and the user can also add their product to wish list or the cart to make the later ordering whenever they needed from the favorite restaurant and this Restaurant Order Script makes the owners and entrepreneurs to work with beneficial profit by using our script. Q What are the login details to test the Admin Panel?